We’ve always bought kale as we know it’s insanely healthy, but we could never find an interesting way to cook with it… Until now! Kale when simply steamed on the hob or in the microwave is very bitter, tough and let’s face it, downright unappealing. We usually left it ’til last as it would have a habit of ruining an otherwise delicious meal. 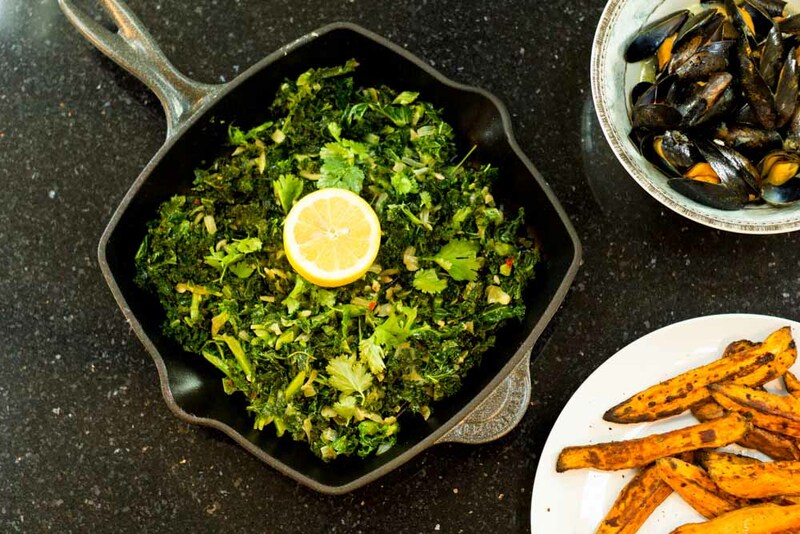 Luckily one day we decided to get off our asses and experiment with this so-called superfood, and lucky we did as this dish turned out absolutely awesome! 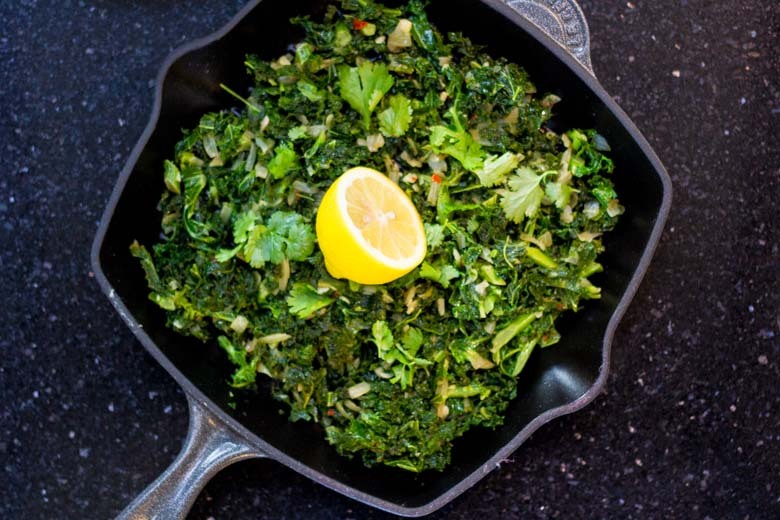 The rich creaminess of the coconut milk transforms the bitter kale, and combined with the sweet shallots, garlic and chilli, this kale recipe becomes sweet, moreish and downright delicious! This is the first time we’ve reached for seconds with kale and we hope you do too! This is an incredible side to go with our spicy sweet potato fries and some meat or fish, or even combined with a bowlful of mussels as we have done here! Why is kale considered a superfood? Well, it’s one of the most nutrient-dense foods on the planet, jam-packed full of vitamins (just 1 cup of kale has more vitamin C than an orange) and antioxidants to help you stay healthy, prevent the signs of ageing and lower ‘bad’ cholesterol levels. Pretty impressive, huh? 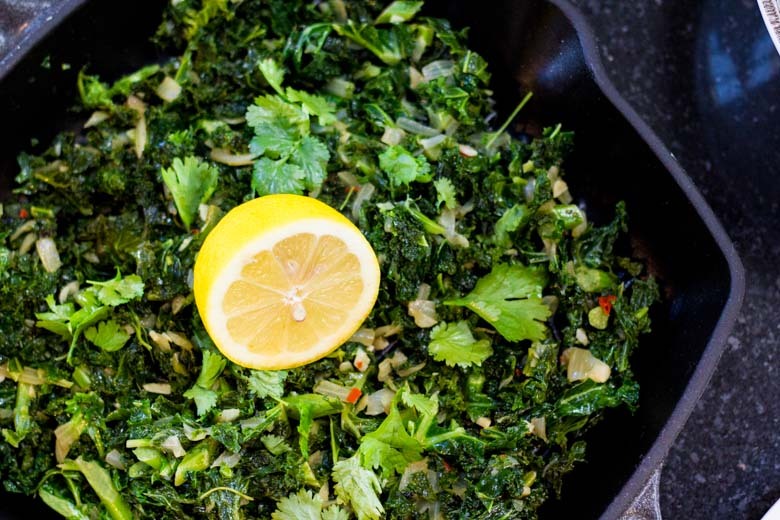 We love to see your versions of our recipes – share your photos and opinions of this kale recipe with us via Twitter (@TrainEatGain). Heat the coconut oil in a large saucepan over a medium-low heat. Add the chopped shallot to the pan and fry until it starts to turn transparent – about 3 minutes. Add the finely chopped garlic and chilli, then cook for about a minute more. Add two to three big handfuls of kale to the pan with half a tin of coconut milk and reduce the heat to medium-low, and cover. Simmer for 10-15 minutes more, or until the kale is tender. Squeeze over the juice of a lemon and serve. This tastes really good with some fresh coriander and slice chilli sprinkled on top if you can handle the heat! 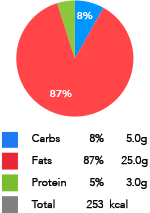 *Note: Macros are given per serving of coconut kale assuming two servings in total.